Book News: Two Authors Make 'Time' List Of '100 Most Influential People' : The Two-Way Also: Penguin offers to drop Apple ebook deals over European antitrust case; a page out of Thomas Pynchon's latest novel; and a long-overdue apology. 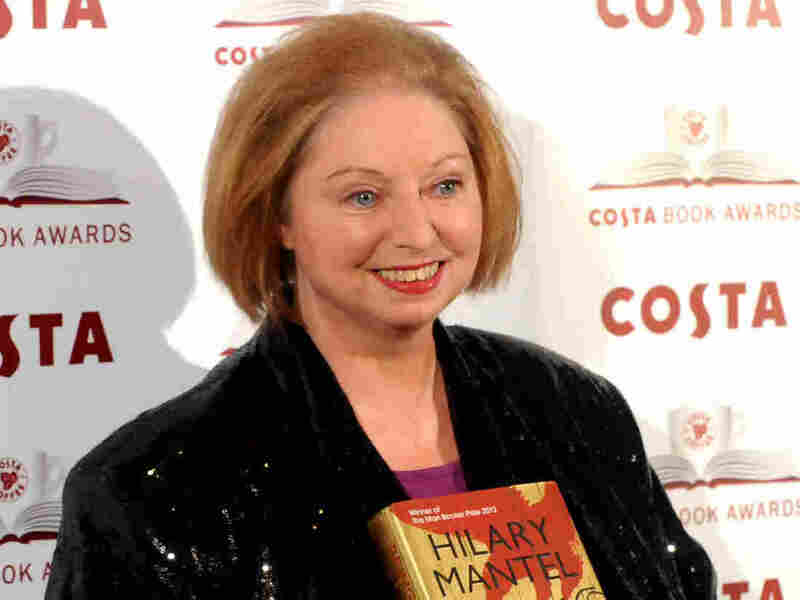 Hilary Mantel attends the Costa Book of the Year awards in London, England. Two major authors were included in Time magazine's annual list of the "100 Most Influential People" — Tenth of December writer George Saunders and Hilary Mantel, the novelist behind Wolf Hall and Bring Up the Bodies. Poet Mary Karr, who wrote the entry on Saunders, said, "For more than a decade, George Saunders has been the best short-story writer in English — not "one of," not "arguably," but the Best." Check out Mantel's incisive, brilliant (and deeply controversial) London Review of Books essay about Kate Middleton, and Saunders' gleeful New Yorker essay "I Was Ayn Rand's Lover." European Union officials say Penguin has offered to end its ebook deals with Apple in order to settle an antitrust case against the publisher, The Wall Street Journal reported early Friday. Apple and four other major publishers — Simon & Schuster, HarperCollins, Hachette Livre, and Macmillan — settled with regulators in December. "With a View of the Sea," a poem by the late Russian writer Joseph Brodsky, has been newly translated by Glyn Maxwell and Zakhar Ishov: "Meanwhile a bold sou'westerly / insinuates its fingers through / the fluttered clouds—now the agaves / thrash and every palm tree too / flames in alarm." Penguin released the first page of Thomas Pynchon's feverishly anticipated fall novel Bleeding Edge. The inventor of the word "fashionista" issues a long-overdue apology "to all users of language for my crime against nomenclature," in an Atlantic essay. Dwight Garner profiles John le Carre for The New York Times Magazine: "His books are less about espionage than they are about human frailty and desire; they're about how we are, all of us, spies of a sort."